Wild Blueberry Beet Smoothie - nutrient rich and so so yummy. 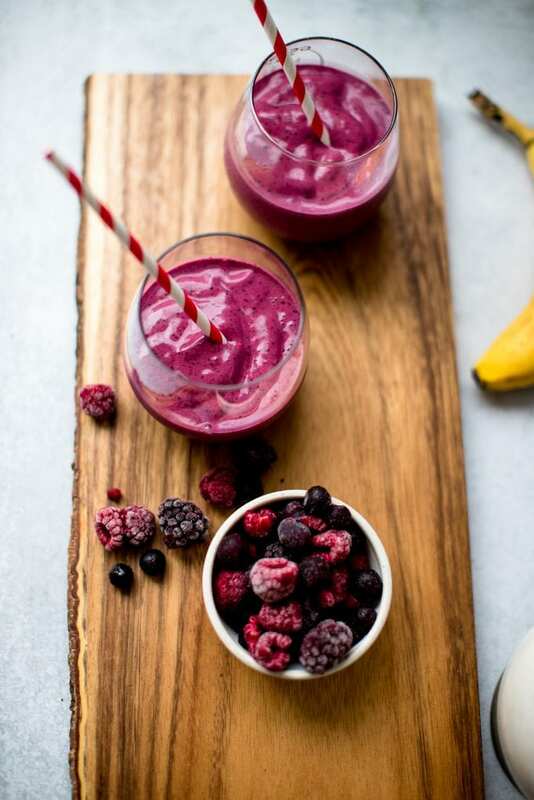 This Wild Blueberry Beet Smoothie will have you running back for more! 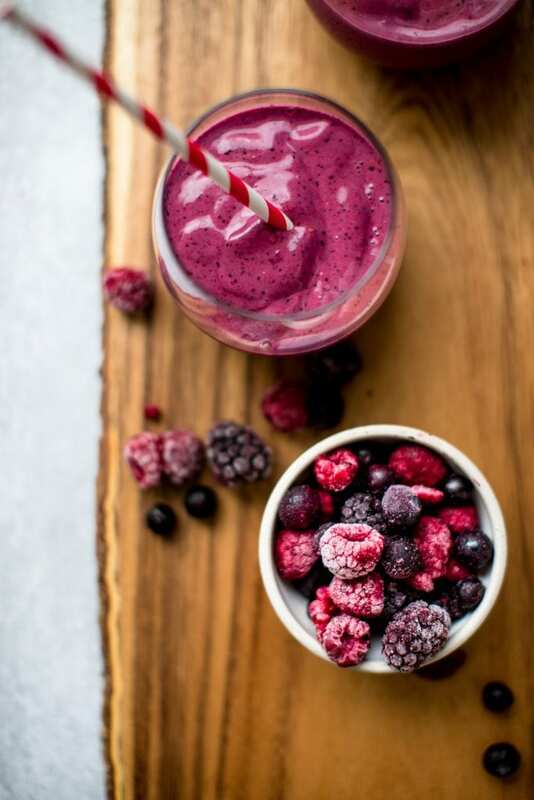 While it may taste like a berry sorbet, it is loaded with antioxidants, protein, vitamins & minerals. I made this recipe over the weekend and I’ve already made it 3 times since! It really is delicious and you just feel so good drinking it. During the first few weeks of the New Year many people are looking to better their health mainly via their diet. Smoothies make for a perfect way to pack in a ton of nutrition and take it on the go with you to work or where ever you need to be! 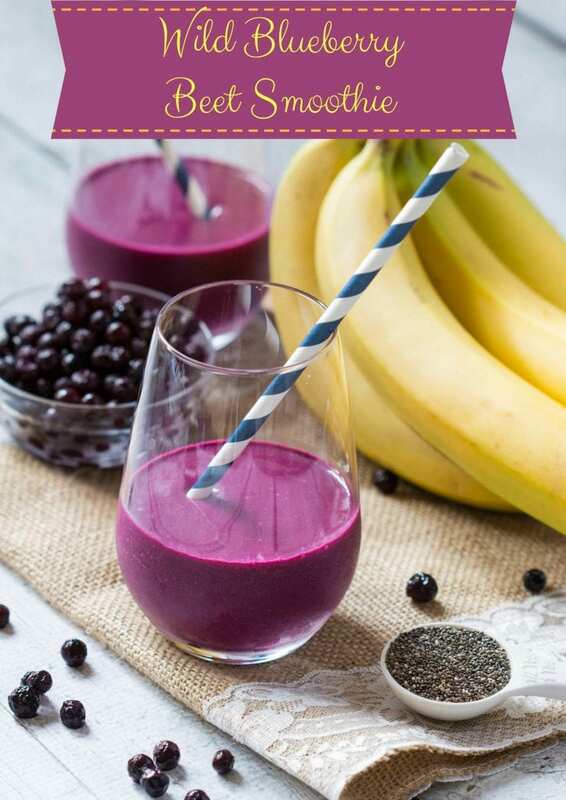 As a Registered Dietitian, this Wild Blueberry Beet Smoothie is top notch: low in sugar, high in protein, packed with phytochemicals and antioxidants, and tastes amazing!! 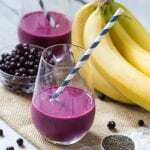 The rich color of the smoothie is a dead give away that this is nutrient rich and so so yummy. I made this smoothie using less than 10 ingredients. I wanted to make this straight forward for you and simple enough that you can find all of these ingredients in your local grocery store. More Intense Blueberry Flavor:Wild blueberries have a more intense flavor than regular blueberries. Wild Blueberry plants grow wild and are genetically diverse with thousands of interlocking plants spreading naturally across fields called barrens. It’s this diversity that gives Wild Blueberries their complex and delicious flavor — an extraordinary mix of tart and sweet. Leader in Antioxidants:Wild Blueberries have twice (2x) the antioxidant capacity of larger cultivated blueberries. A growing body of research shows the potential health benefits of Wild Blueberries including gut health, diabetes, cancer and brain health. Frozen at Harvest:The Wild Blueberry crop (99% of it) is frozen. These potent little berries are individually quick frozen at harvest locking in their nutrition and taste. It’s nature’s pause button. I hope you enjoy this Wild Frozen Blueberry Beet Smoothie and sip your way to a healthier you! Nutrient rich and a perfect pick me up smoothie! Add all ingredients into a blender, mix until smooth. Serve immediately. You can store in a mason jar for up to 2 days. For the beets, I used Love Beets - about 1/4 cup equivalent. Such a pretty smoothie! Love that color!! Where do you find pomegranate powder? I like them because you don’t have to make a big mess but still get all the nutritional benefits! 🙂 Found in most grocery stores. What are the nutritional value of the beet powder? Looked at their nutrition facts and look low in protein, fiber, iron, and potassium. ????? I did not use beet powder. Do you mean pomegranate powder? And also, thank you!! 🙂 Hope you like it. Such a beautiful color! 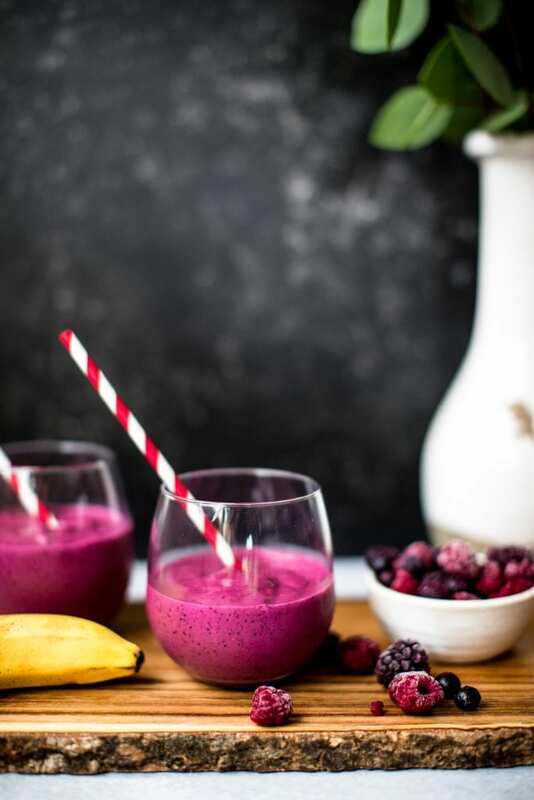 I have never thought of adding beets to my smoothies, will have to give this recipe a try! Thank you Sophie! Hope you like it.